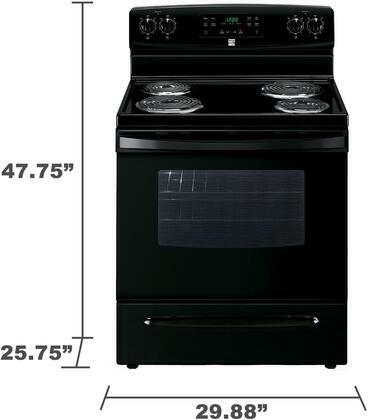 This 4-burner electric stove has plenty of room for multitasking. 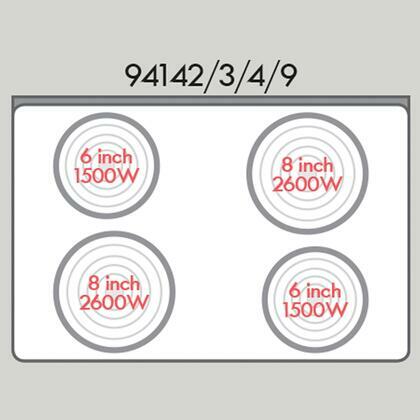 2-6" 1500 watt burners and 2-8" 2600 watt burners mean more room for large pots and wide pans, even grandma's cast iron dutch oven, so you can cook with ease, no matter the recipe. 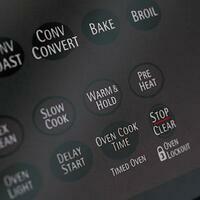 Enjoy the even heating each element provides so you can sear, simmer and sauté with precision. 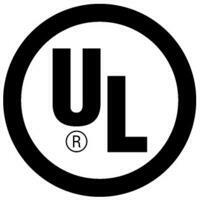 Easily wipe up drips and splatters from the cooktop surface. 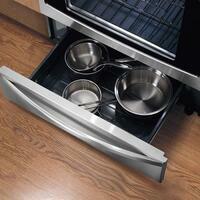 Removable chrome drip pans catch accidental over-boils and spills; no more dealing with a burned-on mess. Use the self-cleaning option to burn off tough messes in the oven, no more crawling in to scrub off baked on drips and dribbles. The spacious 5.3 cu. 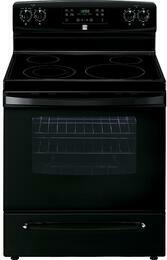 ft. oven is perfect for prepping several potluck dishes, holiday meals or just tossing in a casserole for dinner. The variable broiler lets you set temperatures between 350° and full broil, giving you more flexibility when it comes to finishing meals, melting cheeses and cooking meats. Use the Warm & Hold function to keep finished foods nice and hot until everyone is ready for dinner. Timed bake and delay cook settings give you more flexibility in the kitchen, perfect for busy families who just want a good home-cooked meal. The variable broiler gives you more flexibility in the oven so you can cook from 350 degrees and full broil, for a wide range of meats, melts and meals. It looks great and we are elated with how well our cakes and other baked goods come out. Perfect every time. Great quality stove. Easy to use. Cooks well. Very stylish. No issues at all. All the controls work beautifully. The burners cook even and bring water to a boil a lot faster than our last stove. We've had this Kenmore stove for about 2 months and love it when we've been able to use it. 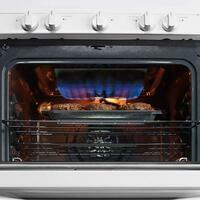 The Kenmore Electric range is a great product. I have only been using it for about three weeks now, but have used it more than once daily since. 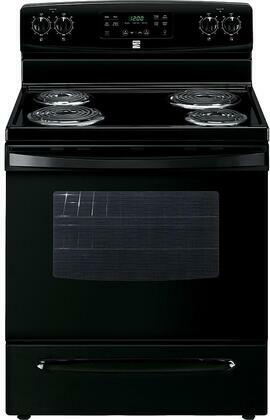 This stove is attractive and it cooks and bakes well. I am enjoying my Kenmore White stove. This range more than met expectations. Extra rack helpful and oven very spacious. I've always preferred Electric ranges and this one doesn't disappoint. 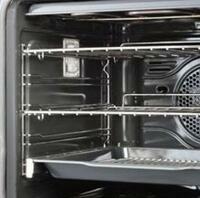 The oven heats quickly and maintains temperature very well. 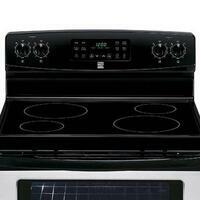 Kenmore Electric range is beautiful and has been a great plus to my kitchen. Everything works smooth and solid and I am very happy with the quality. Just what I needed for my baking and cooking. It was perfect for my everyday use. Great features, looks good, and does the job. Looks great in our kitchen, works well and easy to clean. We have been enjoying for almost 2 months. Overall, I am satisfied with the performance.